Basic Hat Pattern: A Light Blue Day! family said the side of the hat looked terrible! while feeding mom lunch and asked if I could make him a hat like Chris has. and he said light blue! I said you mean blue like the color for baby boys blue? He said yes! was so excited, he checked in with me everyday! The rest of the story will be tomorrow! A mistake in line 5 with Version 12! 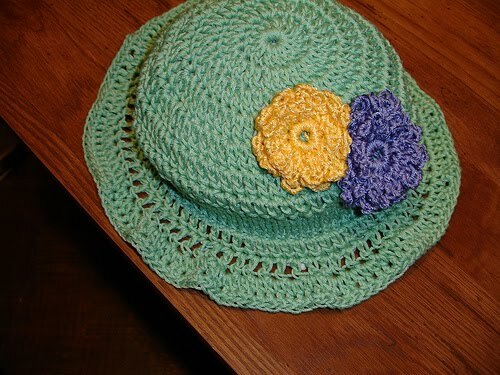 Front Post Double Crochet Hat!